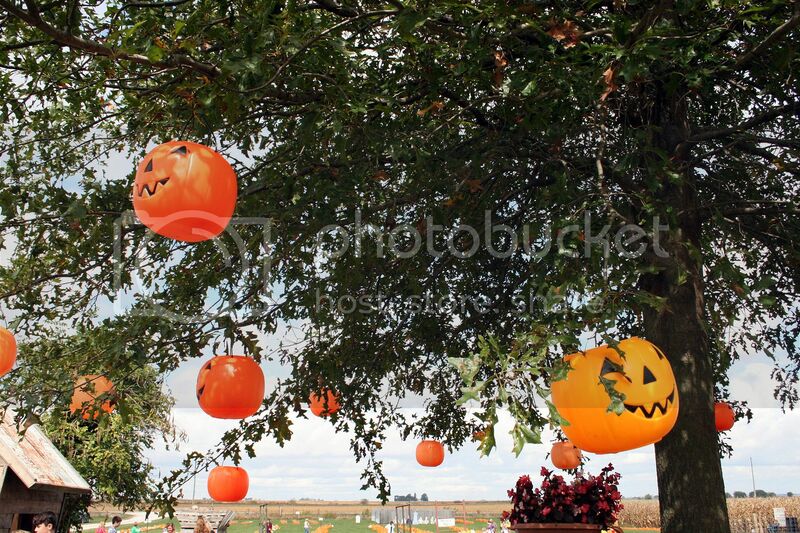 It is officially October! October just happens to be one of my very favorite months. 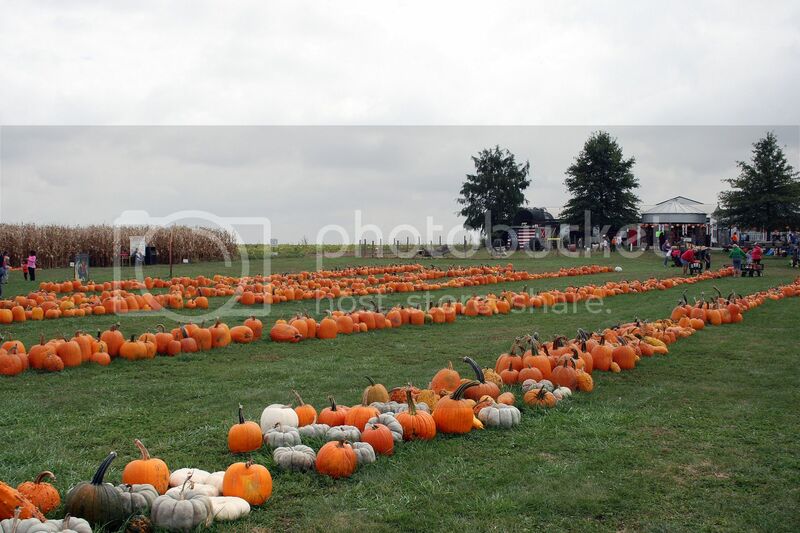 I love the changing leaves, apple cider drinks, fall fashion, Halloween and of course, pumpkin patches! As you know, we here at Mod Circus love to dress with a theme. 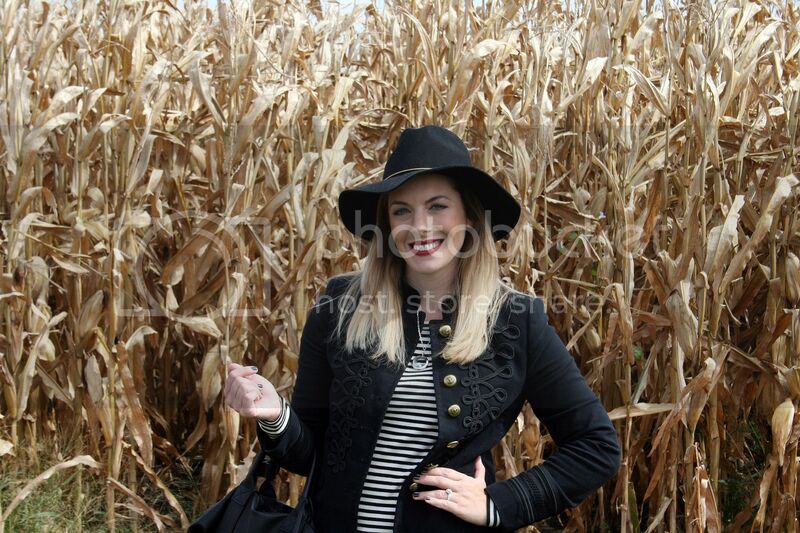 So, I went for a Victorian meets modern day witch theme (just go with me on this one) for a visit to my local pumpkin patch this weekend. This military jacket and my ballet flats are both from Zara, and Molly and I agree, Zara has been kill-ing-it lately! They have such great stuff right now, it's taking all of my will power not to buy everything in sight! The jacket is a sturdy velvet and perfectly fits the Renaissance trend for fall. I paired it with a simple black and white striped shirt and black skinny jeans for a monochromatic look. 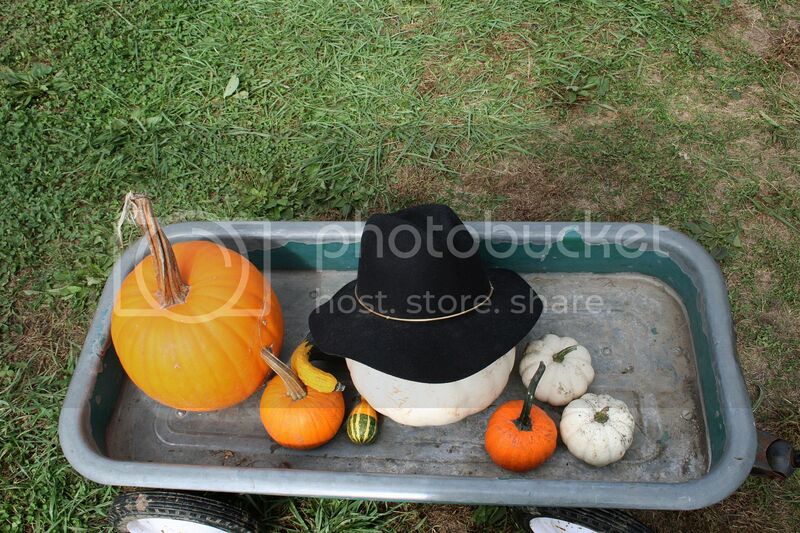 I topped it off with a black felt hat that would be perfect for a modern day witch. My ballet flats were a birthday gift from my husband. I have been wearing them non-stop since I received them! They are so comfortable and the right amount of funky to spruce up any weekend outfit. 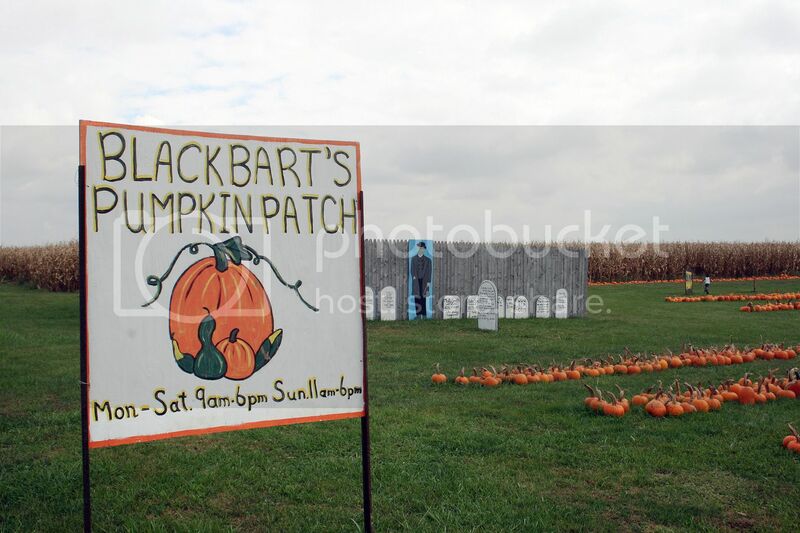 If you live in the Central Illinois area, you are most likely familiar with Black Bart's Pumpkin Patch. 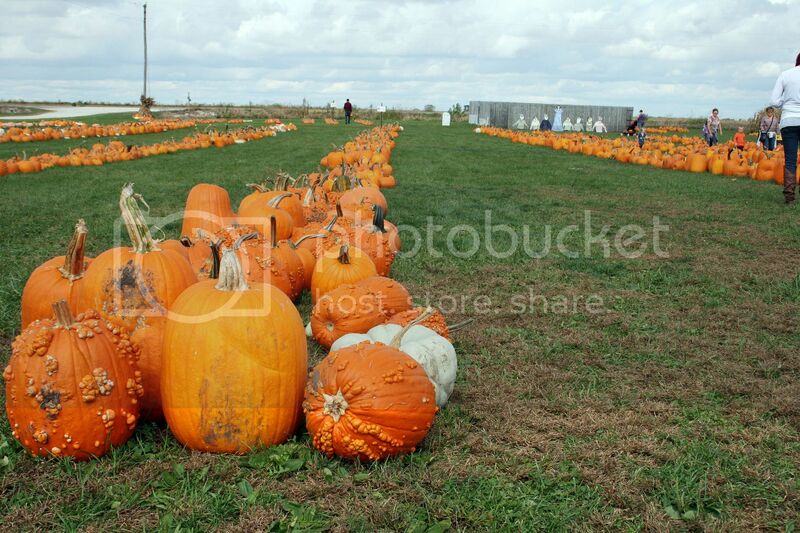 It's a small, locally owned patch that is perfect for pumpkin picking. They have a ton of great activities for kids and families (or kid's at heart). 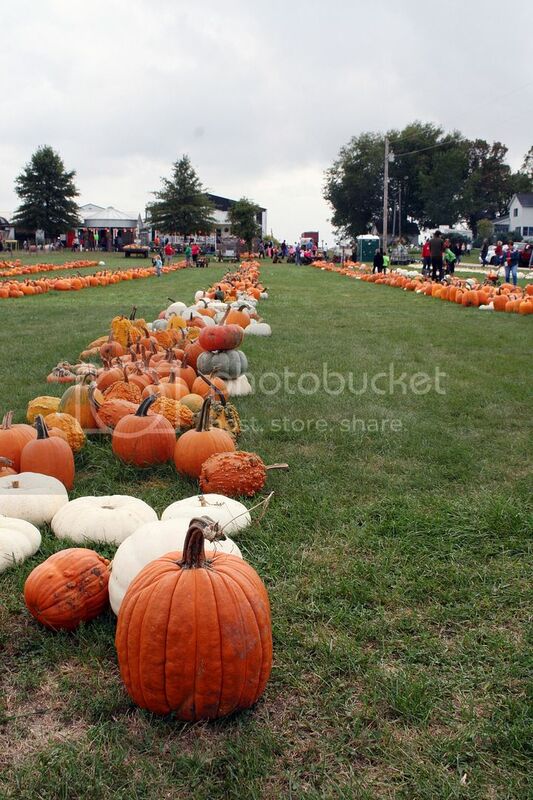 It's free entry and the pumpkins and gourds are very reasonably priced. 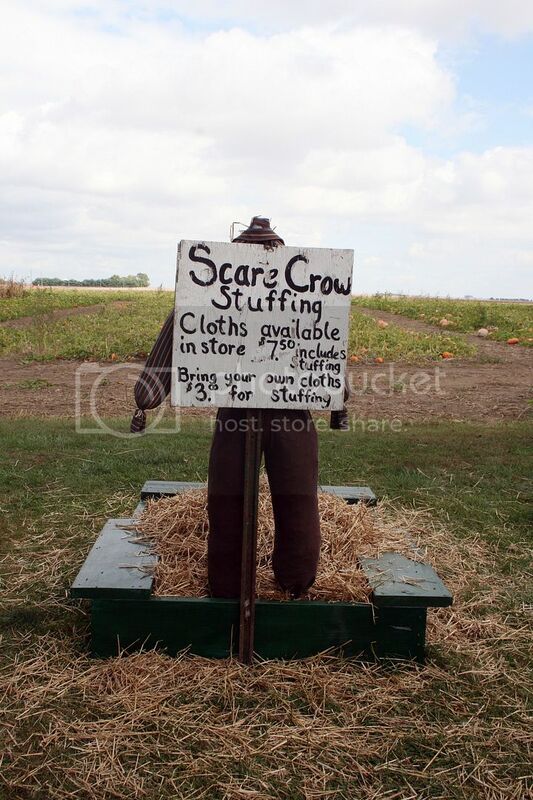 On the grounds, you will also find a corn maze, a haunted house, a store full of fall goodies and snacks (like homemade pumpkin fudge! 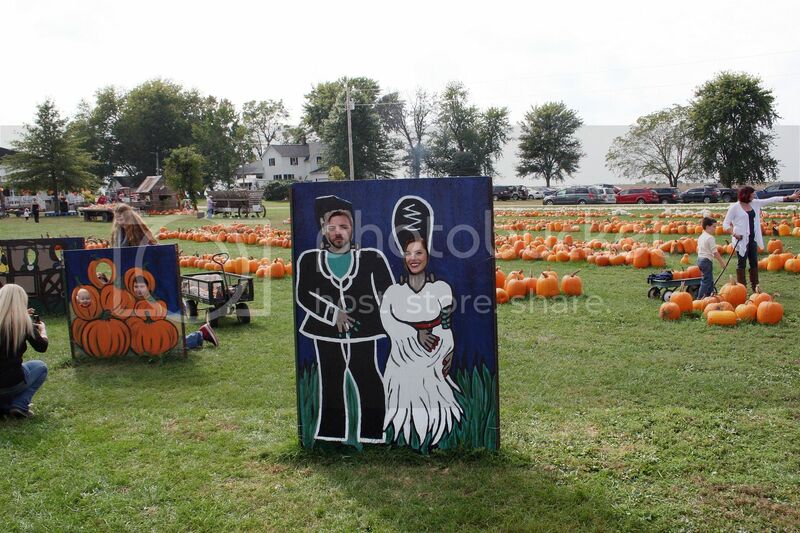 ), homemade fried pumpkin blossoms and other food, a huge pirate ship play area, a small petting zoo and tons more. On the day we went, there was even a face painting booth! We got a few goodies to decorate our front porch and taste tested the fudge and pumpkin blossoms (highly recommend both). It ended up being a beautiful day at the patch for picking out our fall goodies. If you haven't been to Black Bart's yet, get out there and experience it for yourself. Theme clothing entirely optional. Super cute! 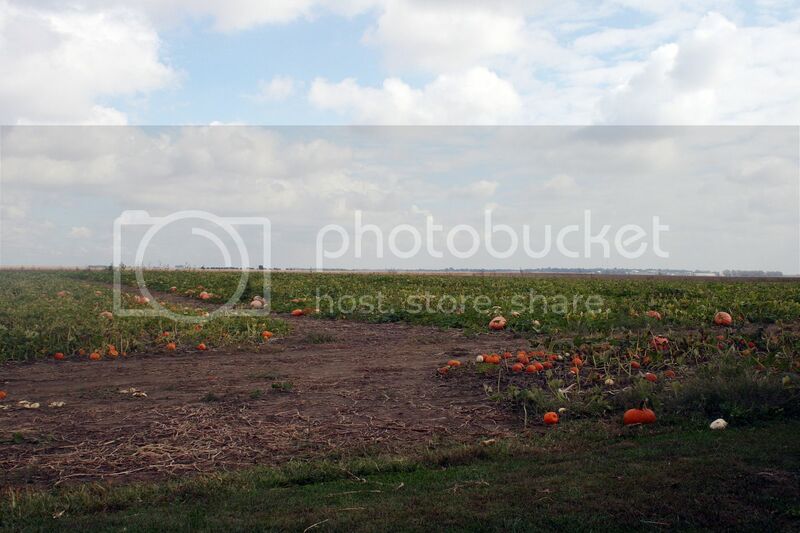 I want to go to a pumpkin patch, looks like fun!! Thanks! 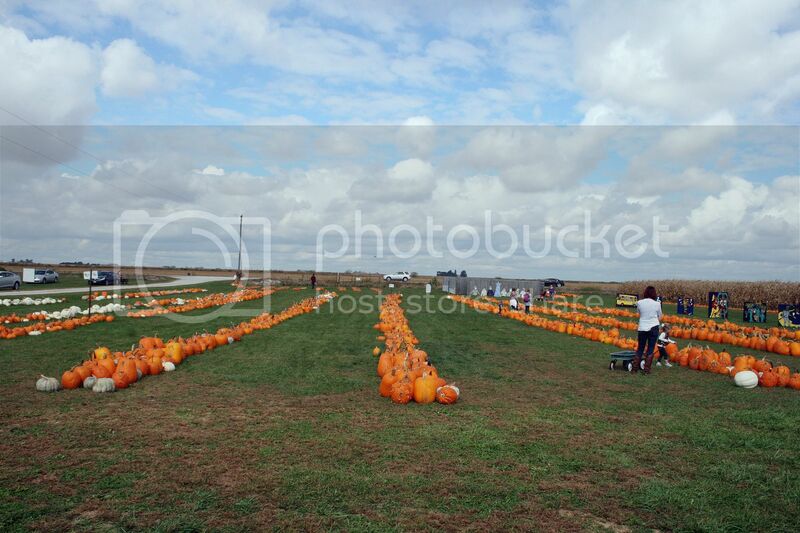 Pumpkin patches are one of my fav fall activities, you should definitely hit one up!